The end of the last year was accompanied by the annual event, the Conference of Parties (COP24), this time held in Katowice, Poland where the talks on climate change challenges took place. Among other things, discussed was also the vision for climate neutral Europe. 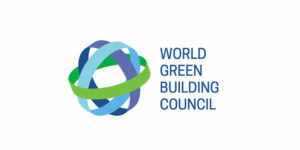 In reaction to that, World Green Building Council (WorldGBC), in an open letter, calls for recognition of unparalleled potential of the built environment sector which could significantly add to meeting the goals of the Paris Agreement as well as the EU2050 long-term strategy. Based on this fact, the EU2050 should and has to prioritize the reduction of operational carbon emissions in buildings. At the same time, it must recognize the full life cycle impacts of the built environment sector. WorldGBC sees resolution in strengthening the cooperation between the European Commission and countries, cities, companies and even citizens to deliver renovation strategies in building sector. Otherwise, the success in net zero emission economy is not reachable. Find the open letter in full here.